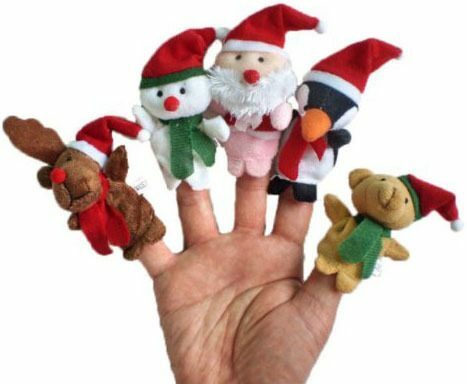 Christmas Finger Puppets Only $2.98 + FREE Shipping! You are here: Home / Great Deals / Amazon Deals / Christmas Finger Puppets Only $2.98 + FREE Shipping! How cute are these finger puppets?! Right now, you can get these Christmas Finger Puppets for just $2.98 + FREE shipping! This set includes 5 puppets – reindeer, snowman, Santa Claus, penguin and teddy bear. They would make a PERFECT stocking stuffer!